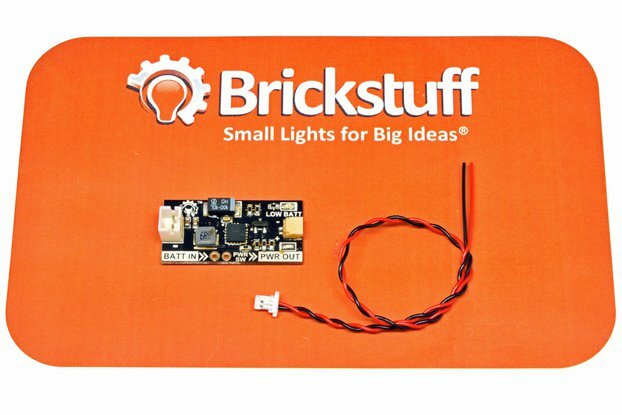 At Brickstuff, we’re passionate about all the great things you create, and we want to help bring those awesome creations to life! 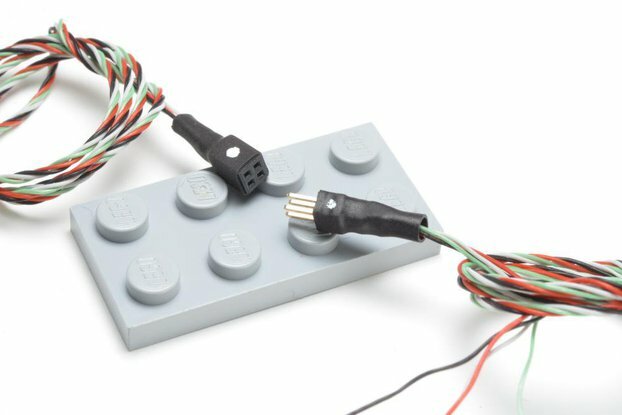 We’ve worked hard to develop an ever-expanding line of modular lighting and automation products for your model buildings, train and city layouts, and custom creations. Just about anything you build, you can bring to life using our products. Simplicity and flexibility are at the heart of everything we do. 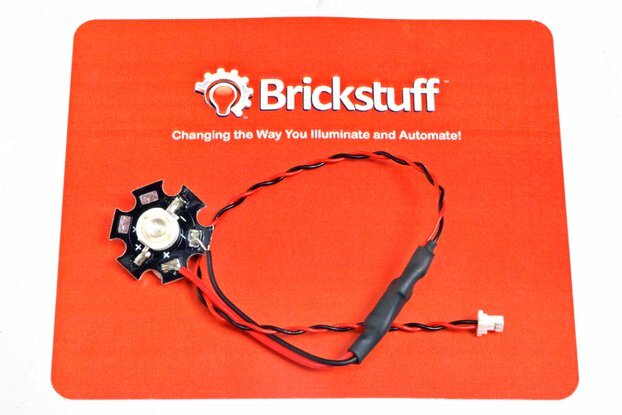 We've engineered our light modules so you can install them anywhere, and have them up and running in minutes. 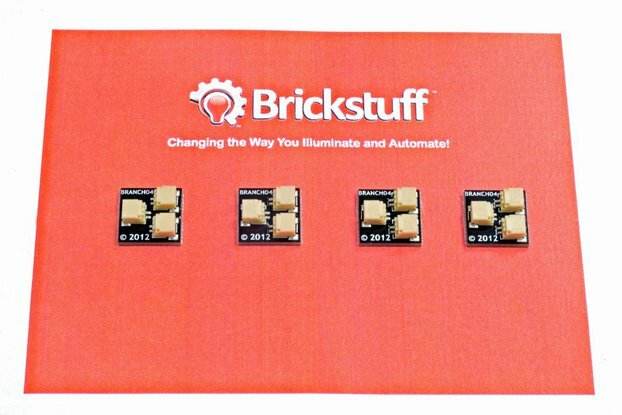 You can connect the modules end-to-end to create larger installations, and you can connect Lighting Effect Modules to your lighting setup to bring your creations to life. 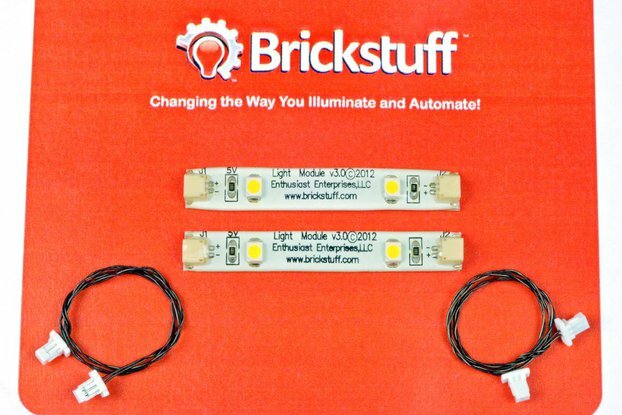 Realistic lighting effects-- such as a flickering fireplace or lights inside a model house that turn on and off automatically-- can be easily implemented. 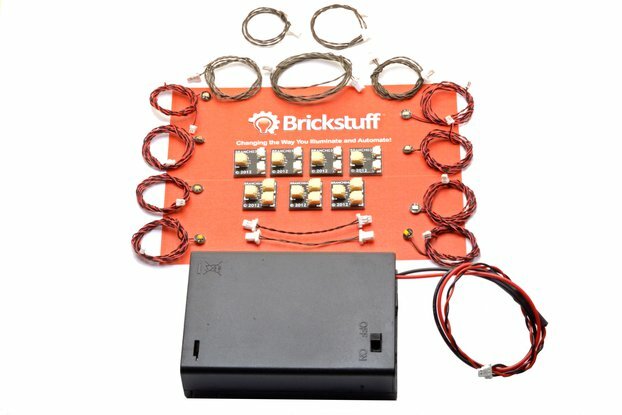 You don't need to worry about the electronics-- just connect your lights, attach a power source, and get ready to answer the question, "How'd you do that?" I haven't yet received the item. We're sorry to hear you have not yet received your item. It was shipped from the U.S. on February 9, 2014. Have shipments from the U.S. taken a long time to arrive in Italy before? Hopefully you will see it soon-- if not, please let us know. 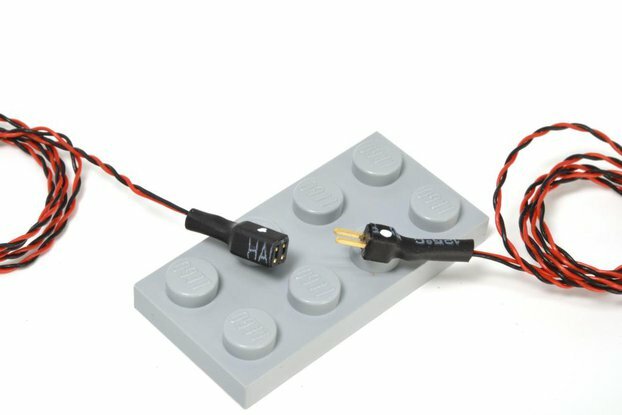 An incredible way to start lighting your LEGO models! The parts quality is fantastic -- everything looks just as good as it does in the photos. 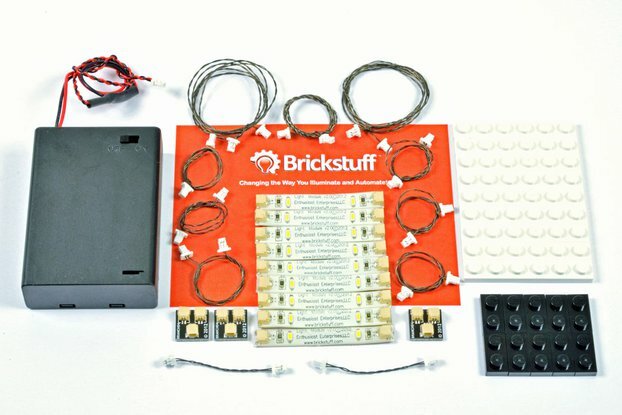 The kit is a great way to get started with a lighting project since it comes with everything you will need. 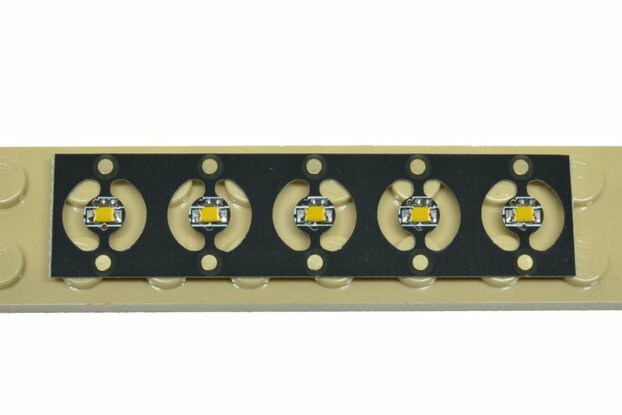 All of the supplied lights are white but they can easily be fit into places where you can add trans-colored tiles or plates to color them if desired. To top it off, Rob does an incredible job with customer service. I made a mistake on my order (I ordered an incorrect part), and he was happy to make the change before he shipped everything out. 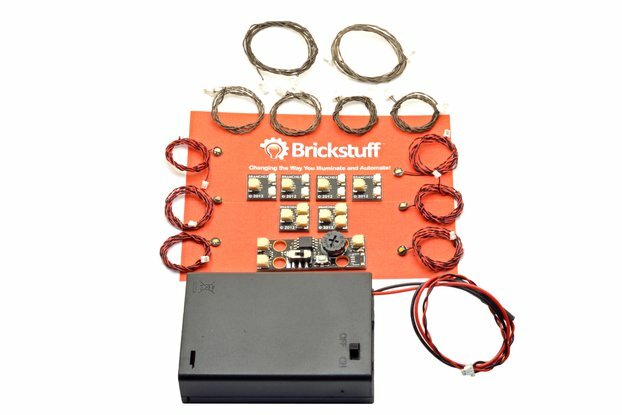 Speaking of shipping, Brickstuff is lightning fast! I have made two orders, both have gone out the next day and have arrived in a sturdy box that protected everything nicely. All individual parts are shipped in anti-static bags to boot, so it would take a minor act of entropy to damage the goods in transit. Thanks for the amazing lighting kit, it is WELL worth the money! Wow, thank you for these kind words-- we are thrilled that you like our kits! Looks wonderful and they are oh so easy to use! These lights are simply amazing! They could not be any easier to use...just lit up my first modular building and they look great inside of it. 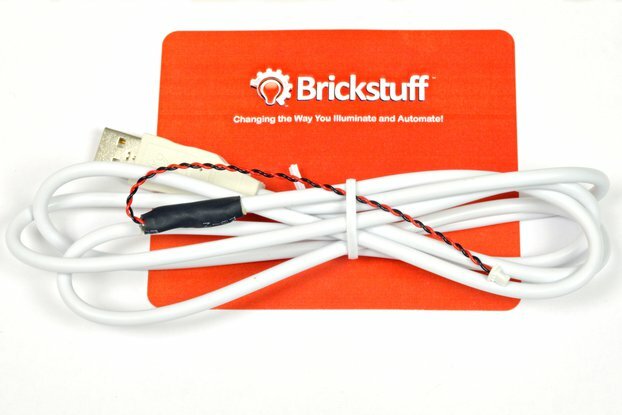 They really add a great sense of realism to your buildings and they are so easy to install...just a great product overall! 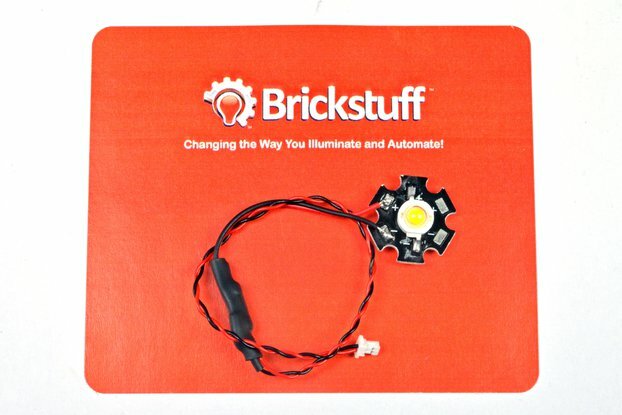 I would totally recommend this to anybody looking for a way to light their own Lego creations. Thank you very much for your review-- we're glad you like the lights! Very efficient with excellent design. You can't go wrong with these guys... Get some! Thank you for your kind words-- glad you liked the light strips!